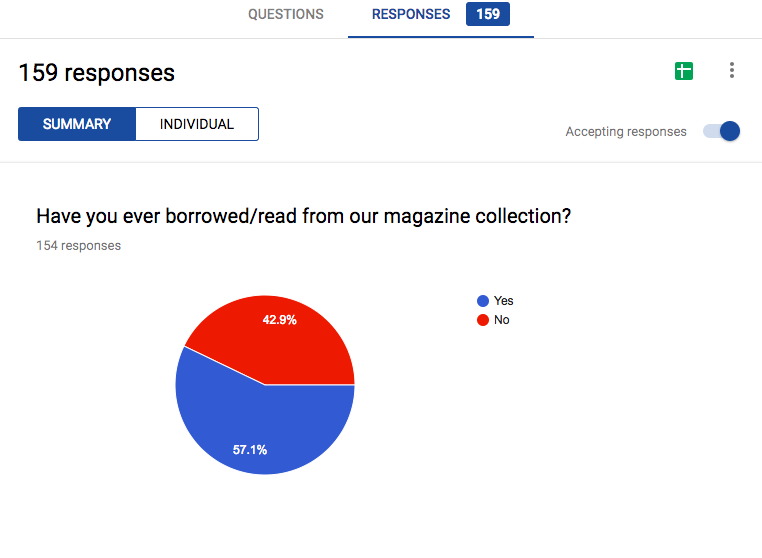 There are 57.1% students borrowed or read from the library magazine collection. The collection is worth keeping and may need more promotion to achieve higher rate. 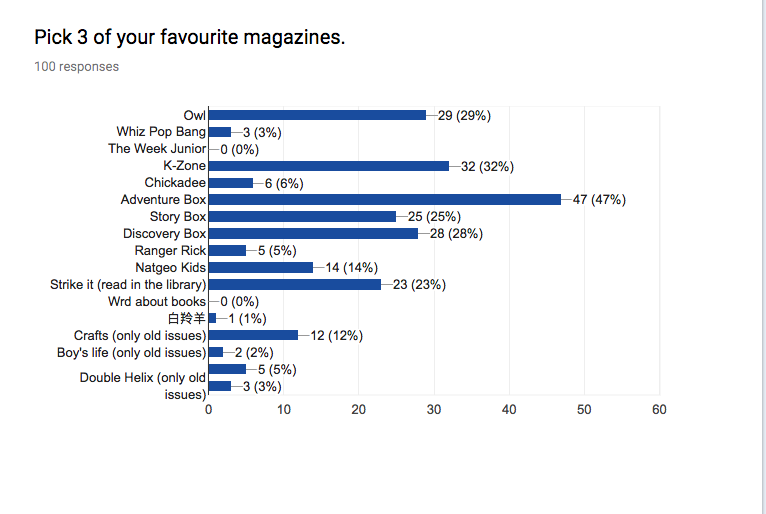 The top 3 magazines are: Adventure Box (49), K-Zone (30) and Owl (28). 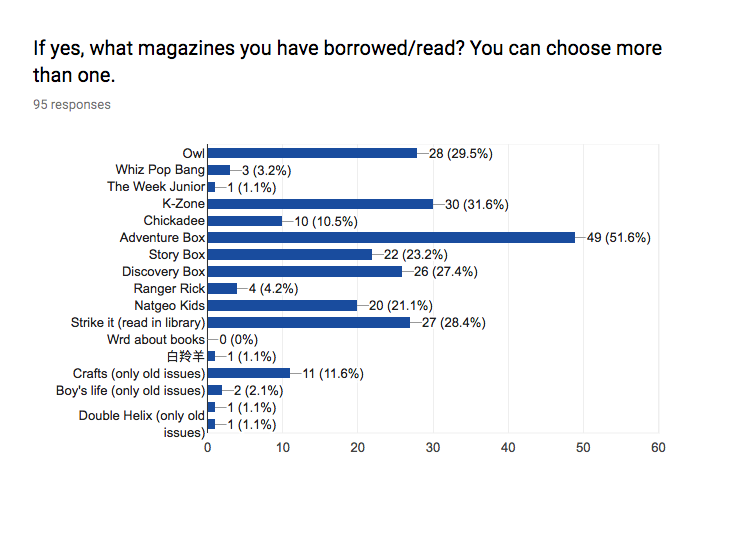 However, Strike-it (27) and Discovery Box (26) are very close to the top reads. Adventure Box, Discovery Box and Owl are from Bayard Press. The quality of these magazines are good. 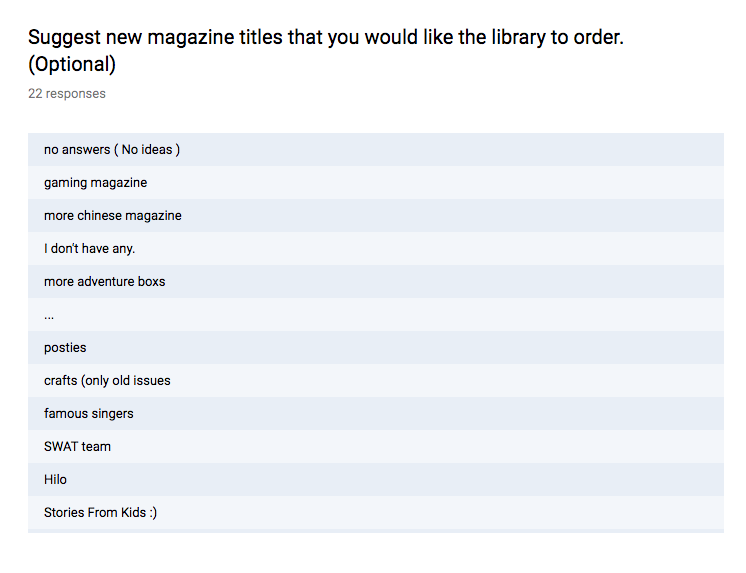 There are sample magazine given to students each year. Students have good impression and popularity among them. 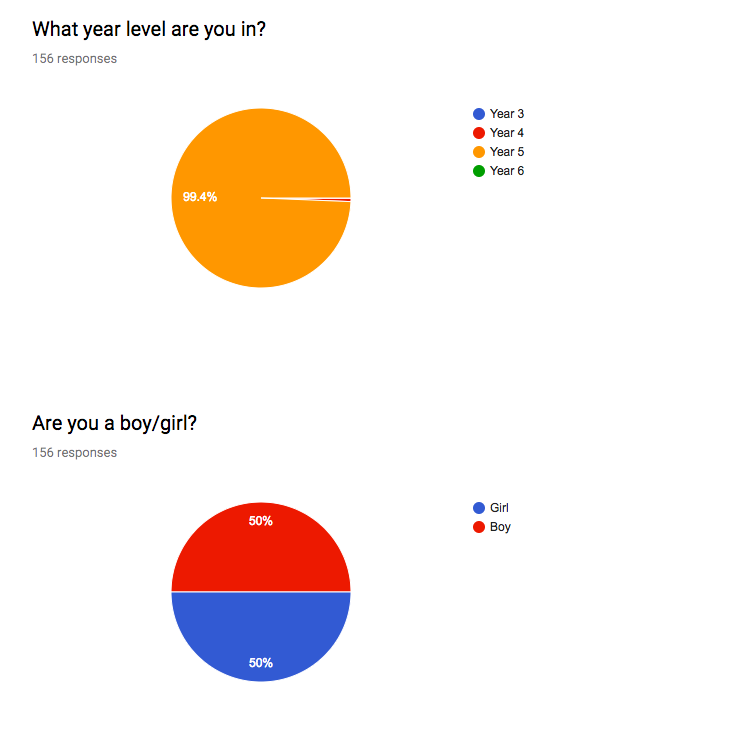 K-Zone is a gaming magazine and generally gain high reading rate among boys.